Katie Ford co-founded Ford Cassella Productions with Maggie Cassella. Katie keeps her finger firmly on the pulse of all things entertainment and leading edge, always looking for new ways to reach out, connect, and bring story into the picture. Katie is a writer and producer for both film and television, best known for co-writing and co-producing the hit film, Miss Congeniality. More recently, she wrote the Emmy and Golden Globe nominated movie, Prayers for Bobby starring Sigourney Weaver, and was Co-Creator/Showrunner of Working The Engels starring Andrea Martin that was summer series on NBC in 2014. 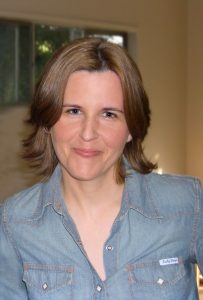 She has written for both comedy and drama with credits as diverse as Writer/Producer of ABC’s Desperate Housewives and Story Editor and Writer for the international TV hit Transporter. Katie started as a standup comic before switching to writing full time. Her first play, By Your Side was performed in Toronto and starred Keanu Reeves, her next play Out in America was performed in LA. The LA Times rated it as one of the best plays of the year. At age 21, Katie was hired for the NBC sitcom Family Ties, where she wrote 10 episodes of the series the Writers Guild of America recently voted one of the 101 best written television series. Additionally, she penned the teleplay and Co-Executive Produced the critically- acclaimed miniseries, Laura Ingalls Wilder’s Little House on the Prairie for DISNEY/ABC. On the action side, she was writer and producer for Brett Ratner’s CBS’ action comedy, Chaos and co-wrote (with Hope Royaltey) The Mules, has done script punch up and script doctoring for every major studio. She has developed pilots for Anjelica Huston, and Felicity Huffman and William H. Macy. Ford is also presently developing the digital media startup FlagshipTV. FlagshipTV is backed by AOL and is an interactive entertainment platform. Maggie co-founded Ford Cassella with Katie Ford. While role overlap is considerable, Maggie’s focus is next steps and driving the engine forward. Maggie Cassella has tackled nearly every aspect of the business of show. From hosting and producing her own nationally televised talk show (‘Because I Said So’ airing on CityTV/Star) to her own drive-time radio show (Proud FM) to appearing on every major Canadian network as a current events commentator. She has also executive produced and produced both live and broadcast events. Maggie most recently wrote and performed on the 2016 Obie Awards with Lea DeLaria and Kate Rigg. 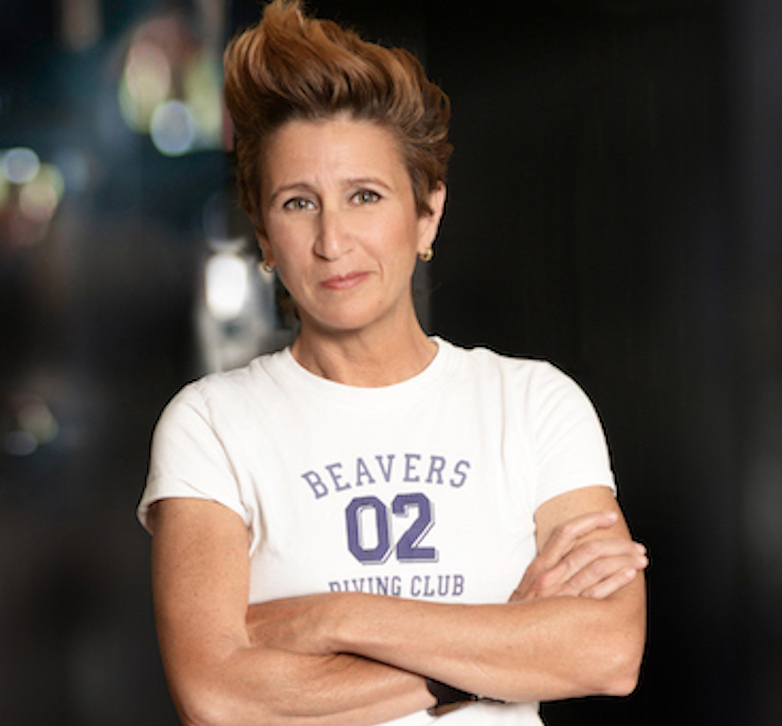 Some of her producing credits include producing for Extra, The Vent (a six part series she co-created, wrote, and produced for OUTTV), and In The Pink (a special of the were funny that way® comedy festival for The Comedy Network). Maggie co-wrote a book with Lea DeLaria (Lea’s Book of Rules for the World) published by Random House, and has written with Lea for TV (Showtime, CBC, WNED) and of course the stage. Maggie produced seven live shows a week at The Flying Beaver Pubaret a venue she created and co-owned until it’s untimely demise by fire in February 2015. The Pubaret was rated amongst the Top Five Restaurants for Live Music in Toronto by BlogTO and amongst the Top Ten Places to Visit When You Come to Toronto by Canadian Living. But her most proud achievement in live producing was creating and producing the we’re funny that way festival® founded in 1997. we’re funny that way® was the world’s first queer comedy festival. It now exists as a performance festival for all types of queer performance. Besides being a showcase for queer talent the festival also acts as a vehicle for fundraising for queer charities through the We’re Funny That Way Foundation. Maggie’s is thrilled too be partnering with the ever-brilliant Katie Ford to create web hubs for underserved/niche audiences worldwide. Their first network in development is the We’re Funny That Way Web Hub. Elana’s role at Ford Cassella is to insure there’s no monkey business, that no resources go wasted, and it all gets done on time and on budget. 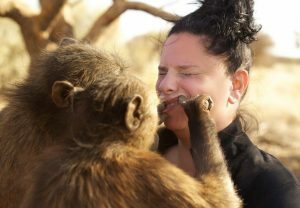 Elana Trainoff has been out in the world making a difference (or at least trying to) for as long as she can remember. Her career started 20+ years ago, working 18 hour days, slogging her way through production and development of bad MOW’s and reality shows until she discovered she could stay creative and find some meaning at the same time. She was pivotal in spearheading the CFC’s (Canadian Film Centre) wildly popular television training and production division and ran it for many years until she was plucked by an LA based agency representing screenwriters and directors to open and run a Canadian office for them. Five years and many happy clients later, Elana high tailed it overseas where she knew in her heart she would learn first hand how to work in a way that effects positive social change. She taught filmmakers from Latin American countries at the Havana Film School in Cuba, she oversaw production of all film and television projects on a Namibian wildlife sanctuary in Southern Africa, she worked deep in the arts community with writers and musicians on the exotic island of Zanzibar, off the coast of Tanzania, running a music and writers festival and foundation. Elana has been back in Canada for a few years where she has worked as the Executive Director of the Regent Park Film Festival and was most recently the Head of Social Impact Engagement and Partnerships for the Reelworld Film Festival. She lives and breathes film, has mentored filmmakers and artists for over 20 years and wants to continue to focus her creative energy on producing content that touches hearts and effects change.